Are you tired of seeing that? Okay – we know that it’s almost never that bad. That doesn’t change the fact that everyone reading these words right now has seen bathroom mould, and what you see is nothing compared to what you don’t. Bathroom mould is generally viewed as an inevitable homeowner hardship, and not without reason. Kitchens and bathrooms are obviously high-moisture areas. But what about a mould-proof shower? 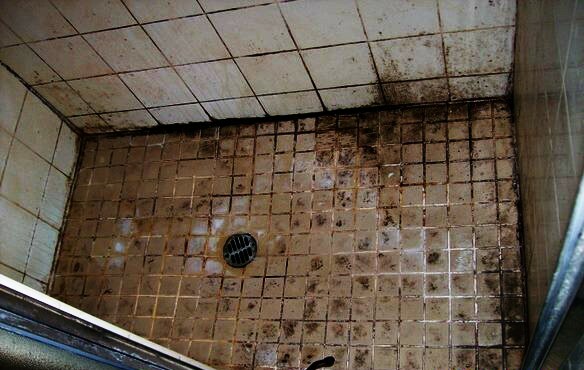 Imagine if mould and mildew never plagued the surfaces of your shower stall at all. Imagine if the unseen interior of the stall stayed dry, no matter how much use it saw. You may say I’m a dreamer, but I’m not the only one. We found that Brad Elkins – a homeowner, not a handyman – may have fulfilled this dream in 2012. He used new materials and with a new approach, and we’d like to summarize his findings for you. In creating his mould-proof shower, Elkins did not opt to use water-resistant drywall. The company states that the product can be used to create “bonded waterproofing assemblies with tile coverings” and, as you can see, this is precisely what Elkins did. After stripping the walls, Elkins began by covering the studs with 3/4” Kerdi-Board. This protected the wall, but not the corners, seams and on top of the washers and screws. 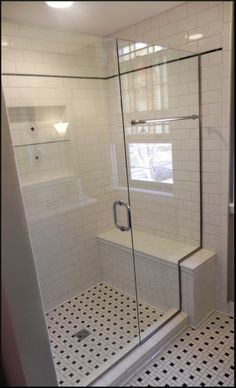 He troweled some thinset mortar on these areas in order to secure a sheet of Kerdi – widely available and powerful waterproofing membrane – in and around these gaps in his mould-proof shower’s defenses. The walls, corners and even the seams were covered by a powerful membrane, but Elkins needed to protect the floor as well. Many people make the mistake of believing that the tiling itself will protect the flooring – it doesn’t. 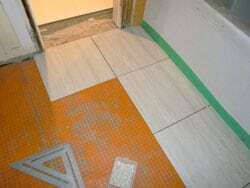 Instead, Elkins used an uncoupling membrane – another widely-available product from Schluter, made from heavy plastics – to cover his floor before installing the tiles themselves. This left the floor’s corners and seams as the only remaining areas around his shower that were unprotected. And considering he still had an abundance of Kerdi left, this wasn’t a problem. According to a 2009 study, Canadians use an “alarming” amount of water. A mould-proof shower is, in other words, precisely what this country needs. You can read more about Elkins and his successful project here. If you found this article a little too late, don’t fret – our team of drywall services technicians specializes in such projects. Give us a call at (416) 520-1161 or fill out our online ‘book-a-handyman’ form and schedule your visit now! 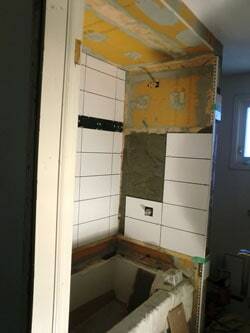 This entry was posted in Blog and tagged mould proof shower. Bookmark the permalink.